I love listening to music. I’ll code websites while rocking out to Aerosmith. I’ll kill an earworm by buying the song and playing it over and over. I get my music from various sources. Sometimes, I buy new CDs. Sometimes, I buy used CDs. Sometimes, I buy digital music from Amazon.com. Recently, given my Doctor Who obsession, I looked into getting some of the music from the show. I stumbled upon eMusic, a site I’ve heard of before but never used, and noticed that the price for the Doctor Who album was much less. Even better, I’d get a $25 credit for signing up. This would be enough for the Doctor Who album plus one or two other albums. As I signed up, though, I realized why I don’t buy music from there. To get my credit – and to buy music at all – I needed to sign up for a monthly plan. While I’ll buy a bunch of music every now and then, I don’t buy it often enough to justify a monthly fee. So, for now, I’ll keep buying my music from Amazon’s MP3 store and from CD shops. 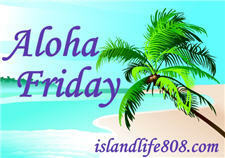 My Aloha Friday question for today is: Where do you buy your music from? Disclaimer: The "Music Icon" image above is by Minduka and is available through OpenClipArt.org.